By Simon Jackson at Newbury. Andrew Balding has got the rain he wants for Here Comes When who heads the betting at 11-4 for the £150,000 Betfred Hungerford Stakes at Newbury on Saturday. Here Comes When is set to face a maximum of 11 rivals in the Group 2 contest that is the feature of Newbury’s two day meeting that commenced on Friday. The valuable race represents a step down in class for the five-year-old dual Group 2 winner whose last three runs have all been at Group 1 level. 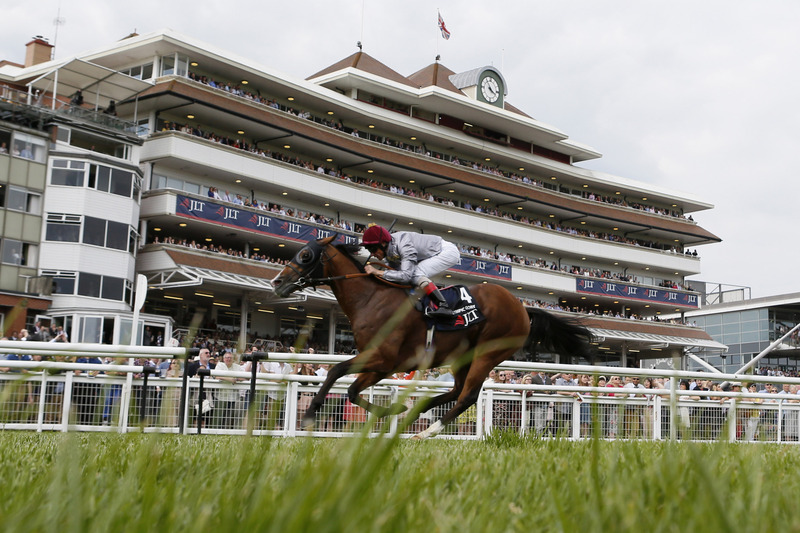 The son of Danehill Dancer was sixth to Night Of Thunder in the Al Shaqab Lockinge Stakes at Newbury, before finishing seventh behind Solow in the Queen Anne Stakes at Royal Ascot and fourth behind the same rival in the Qatar Sussex Stakes at Goodwood. “Here Comes When came out of Goodwood in good form and is an intended runner as long as Newbury gets the forecast rain,” Balding said earlier this week. The 16 runners originally declared for the seven furlong contest that is televised live on Channel 4 (3.45pm) on Saturday was reduced by four after more heavy rain at the track on Friday morning. Safety Check, Richard Pankhurst, Limato and Home Of The Brave are all non-runners after the rain that followed a downpour on Thursday night. “We had seven millimetres yesterday then another 13.5mm this morning. In an hour and a half we had eight millimetres so there’s not a lot you can do,” Newbury clerk of the course Richard Osgood told the Racing Post on Friday morning.